Luxury living with no exterior maintenance in highly sought after Skybrook golf club community! 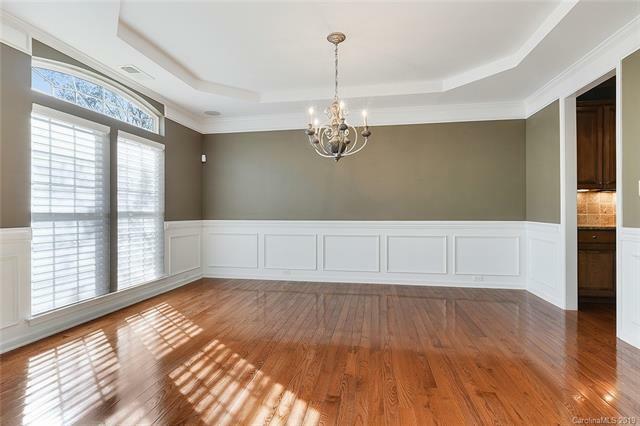 This huge 3-story end unit townhouse is perfect for entertaining and is located on a quiet private cul-de-sac lot backing to trees. 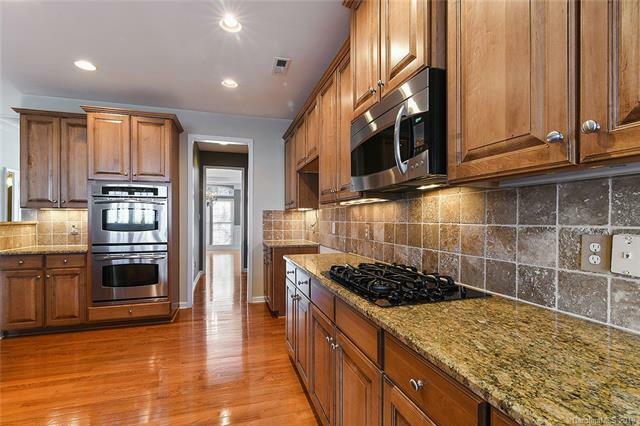 Hardwood floors, plantation shutters, central vac & surround sound throughout. Formal dining with tray ceiling & butlers pantry. 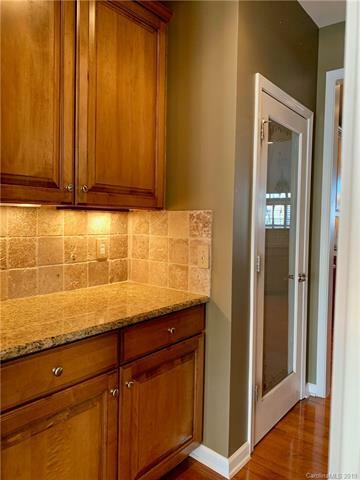 Beautiful granite kitchen with upgraded cabinets, pantry, stainless steel appliances, gas cooktop, microwave, under cabinet lighting, & double oven. 2-story family room w/gas fireplace opens onto 40 ft deck with outdoor speakers overlooking woods. Main level master suite has hardwood floors, tray ceiling, custom closet, garden tub, oversized shower, tile, toilet room & double vanities. Basement w/media room wired for surround sound, bar, flex room, full bath, 40 ft patio w/ceiling fans & roller shades & 544 sq ft heated unfinished space. Main level laundry & 2-car garage w/sink. Faces east. Close to I-77, I-85, shopping & dining.